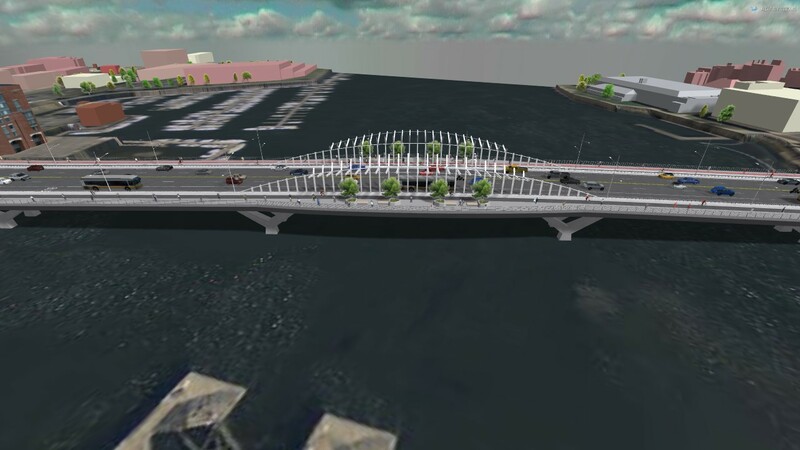 North Washington Street Bridge Replacement Virtual Tour​ This virtual tour shows the changes in traffic flow patterns during the construction of the replacement of the North Washington Street Bridge in Boston, MA. Click GO> to start the tour. Use the thunbnails along the bottom to select different points of view, and use the menu at bottom-center to show the facility ​during the different stages of construction.